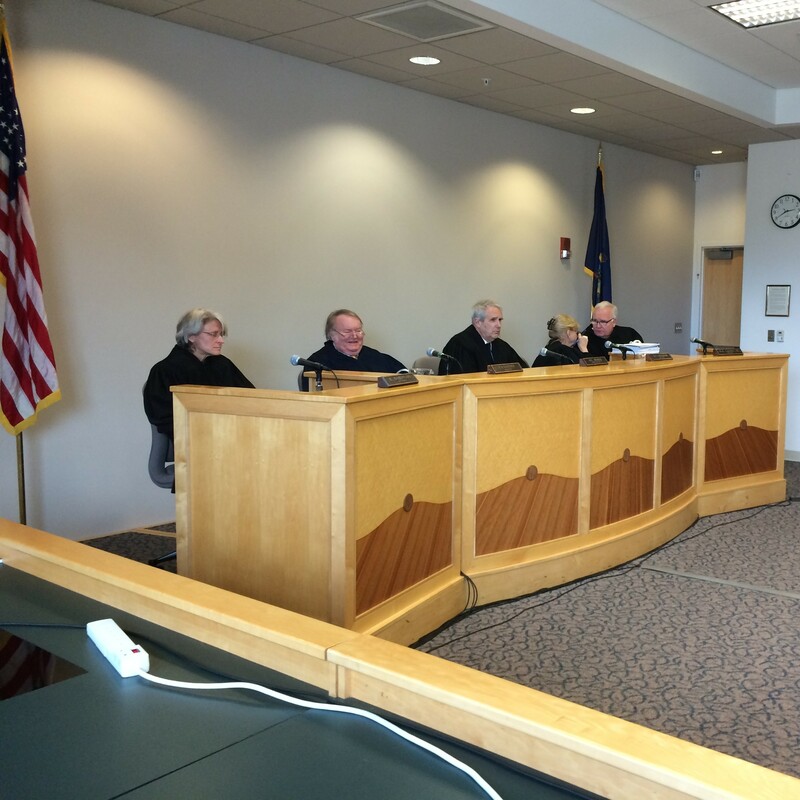 The Vermont Supreme Court holds a hearing at Vermont Law School in South Royalton. The Vermont Supreme Court on Wednesday heard arguments about whether Bennington County prosecutors were justified in filing criminal charges against an inmate for helping fellow prisoners file court papers. The Bennington County State’s Attorney’s Office, in a move that experts said is highly unusual, charged Marble Valley Regional Correctional Facility inmate Martin “Serendipity” Morales with falsely representing herself as a lawyer. Morales, who identifies as a woman, did not appear at the hearing, held at Vermont Law School. Several inmates told authorities that Morales, who has gained a reputation for her legal skills, helped them file court appeals. So-called jailhouse lawyers such as Morales are in prisons around the country, and Vermont prisons have law libraries to ensure inmates can pursue legal claims. Seven Days recently wrote about Morales as part of a larger story about how Bennington County locks up more inmates per capita than other Vermont counties. Deputy Bennington County State’s Attorney Alexander Burke argued that allowing jailhouse lawyers to help inmates who have access to public defenders could confuse legal proceedings. Professional attorneys, Burke noted, must pass the bar exam and maintain a state license. Morales, who is serving time for burglary and domestic assault, did not accept any compensation for her work — she declined when one inmate offered her food — and never signed any documents or called herself a lawyer. Inmates said they approached her for help. And the inmates’ public defenders never complained about Morales helping their clients. During Wednesday’s oral arguments, Vermont Prisoners’ Rights Office attorney Emily Tredeau argued for Morales, saying that there was no reason to pursue criminal charges. Tredeau also said that if lower court judges disapprove of inmates getting help from both a public defender and Morales, they could simply disregard documents written by Morales, or dismiss public defenders and let Morales continue her work. Justice Beth Robinson sharply questioned Burke about the need to pursue charges against Morales. “What’s the harm you’re protecting the public from?” Robinson asked. “Why is that a bad thing?” Robinson asked. “The inmates already had access to the courts,” Burke answered. Attorneys say it appears to be the first time in more than 50 years that an inmate has been prosecuted for a similar alleged offense. But the Bennington County State’s Attorney’s Office is not without allies in this fight. The Vermont Attorney General’s Office filed paperwork with the Supreme Court that said allowing jailhouse lawyers to help other inmates could complicate legal proceedings across the state. Bennington County State’s Attorney Erica Marthage previously declined to discuss the Morales case with Seven Days, but she did note an increase in the number of motions that inmates have filed with courts in recent years. The justices did not rule on Wednesday. The court usually takes several months to issue a decision.